Annual July 4 celebrations, such as Cambria’s daylong “Picnic in the Park” event, can fill an emotional need for fun and tradition, especially during these frenetic times when things like technology, politics and even the weather are changing with lightning speed. 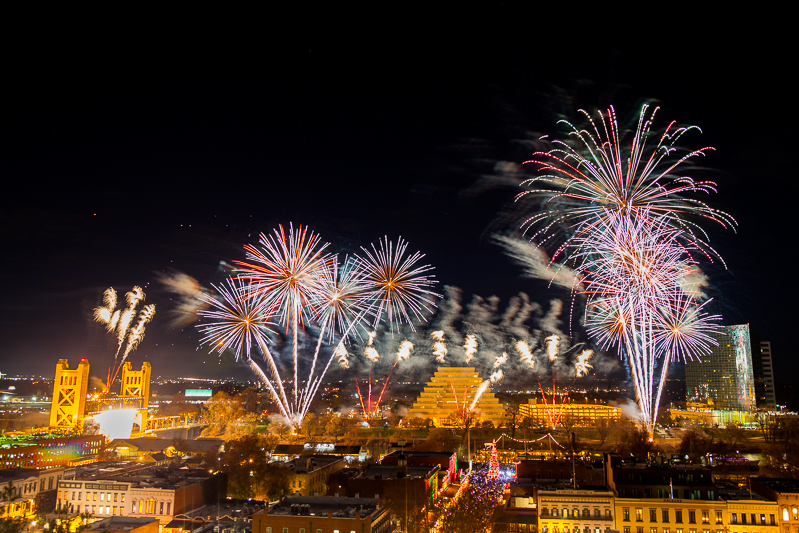 Old-fashioned games, time-honored comfort foods of the season, live music and a $15,000 fireworks show can provide a refreshing interlude, soothing participants’ frazzled nerves and giving their overscheduled calendars a time-out. American Legion Post No. 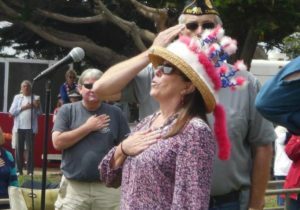 432 and its helpers host the Independence Day event at Shamel Park, 5455 Windsor Blvd., a couple of blocks from Highway 1 on the Park Hill curve between Windsor and the sea. To help combat the inevitable parking-and-traffic crunch, according to Legion spokesman Brian Griffin, the Otter Trolley will run a Moonstone Drive/Main Street route from noon to 7 p.m. Steve Johnson, Jerry McKinnon and Al Gonzales will monitor and control parking-lot traffic for the lots at two lots to the north and south of the park. Donations to help defray fireworks and other expenses are always encouraged. Donation cans are available in the usual spots (Cookie Crock Market, Gym One, Corky’s Barber Shop and other locations). Cans will also be put out at various booths at the Picnic in the Park. Donation checks also can be sent directly to the post’s Fireworks Fund at P.O. Box 697, Cambria CA 93428, or taken to the post’s club at the rear of the Veterans Memorial Building, 1000 Main St., after 5 p.m. Mondays through Saturdays. The annual question along the coast always is whether the weather will cooperate with the professionally produced display of fireworks, which, according to www.accuweather.com, can be affected somewhat by fog, wind, temperature and even humidity. Early this week the meteorological jury was still out on the July 4 forecast. But most North Coasters are stoic and undaunted by a little weather, and some say that even “blue fog, red fog” fireworks displays are beautiful. 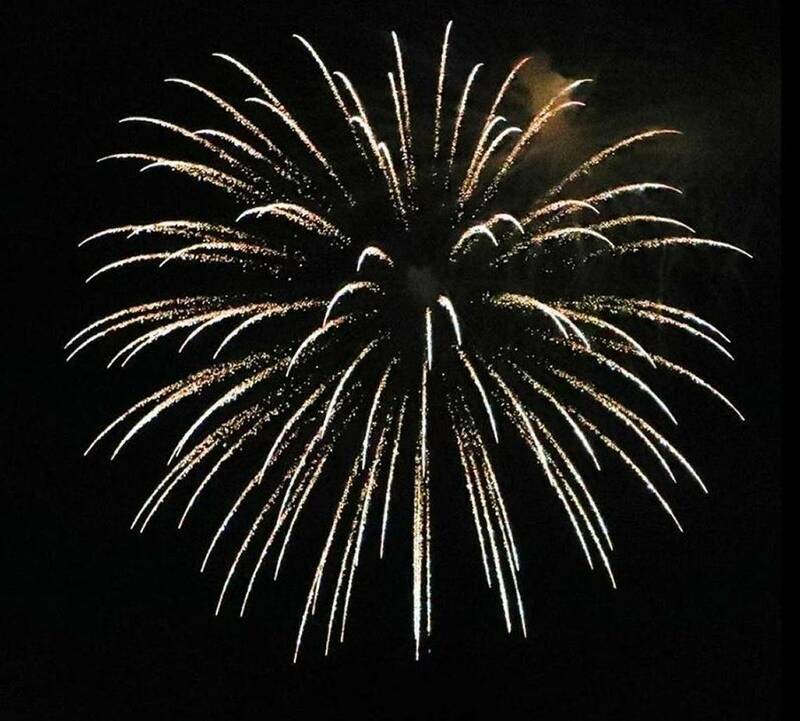 The annual display produced by Pyro Spectaculars provides the only fireworks — professional or personal — allowed in the Cambria/San Simeon/Harmony area. Possession or use of any “safe and sane” or other fireworks or incendiary devices is illegal, laws that are strictly enforced by firefighters, deputies, officers, rangers and others. Those possessing them can be cited and/or fined, and their fireworks will be confiscated. ▪ 11 a.m. to 6 p.m., the county’s Shamel Park pool is open. ▪ Noon to 7 p.m.: Otter Trolley runs a Main Street-Moonstone Beach Drive route. ▪ All day: Lions Club bounce house, food, beverages, music, lawn dancing and more. Raffle tickets available (the two top prizes are $1,000 in cash and a 55-inch smart TV). ▪ 2:30 p.m.: Eighth Linn’s hands-down pie-eating contest, with individual divisions for women, men and little kids and big kids who can chow down quickly on olallieberry pie. ▪ Dusk (8:45 p.m. or so) Pyro Spectaculars’ fireworks show begins; Griffin said the pyrotechnics are to last at least a half-hour. Celebration participants are asked to be tolerant, patient and careful as they exit from the park area. It’s a small locale into which a substantial number of vehicles and people will be stuffed, so it takes time for all those vehicles and pedestrians to wend their way safely out onto the highway and into downtown. And last but certainly not least, David and John Ehlers coordinate volunteers (including scouts and other young people) for the all-important cleanup efforts on Wednesday, July 5. Everybody is welcome and enthusiastically encouraged to come out and help. Most people at the celebration are in relaxed holiday mode, but a hard-working group of Legion and Legion Auxiliary members will be operating at hyper-speed to make sure the holiday’s events are flawless. Among the members of the Legion Post, Sons of the Legion and Auxiliary who make the Independence Day celebration such a communitywide success are: David Ehlers; food-booth mavens Shelly Woeste and Nancy Taylor; construction commander David “Smokey” Drew; barbecuemeisters Phil Kispersky, Mike Thompson and others; bar manager Lesli Murdoch; band coordinator Jerry Bodine; announcer George Gray (sound equipment from Steve Crimmel); kids-game ringmaster Michael Shanley; Luis Gutierrez directs wait-waitress relay racers; face painting coordinator Sara Blair Fields; raffle leader John Ehlers; honor-guard leader Jonathan Wilson. Greg Sanders is legal adviser, county liaison and refuse director; Ron Waltman is fireworks liaison; and Terry Farrell is administrative leader. A free July 4 community barbecue sponsored by the Cambria Connection will be held from 1 to 4 p.m. Independence Day at the Lions Club’s Pinedorado grounds, adjacent to the Veterans Memorial Building, 1000 Main St. This alcohol-free event is open to all, including families and children, with live music, games and dancing. The Connection supplies the burgers and hot dogs, dessert and drinks, but participants are welcome to bring a potluck dish, if they want. The Connection has held this event for years, and has served more than 600 meals to the community in celebration of the nation’s birthday.